The mosaic darners of the genus Aeshna are some of our largest dragonflies. There are 20 similar looking species in North America, so they can be a bear to identify. 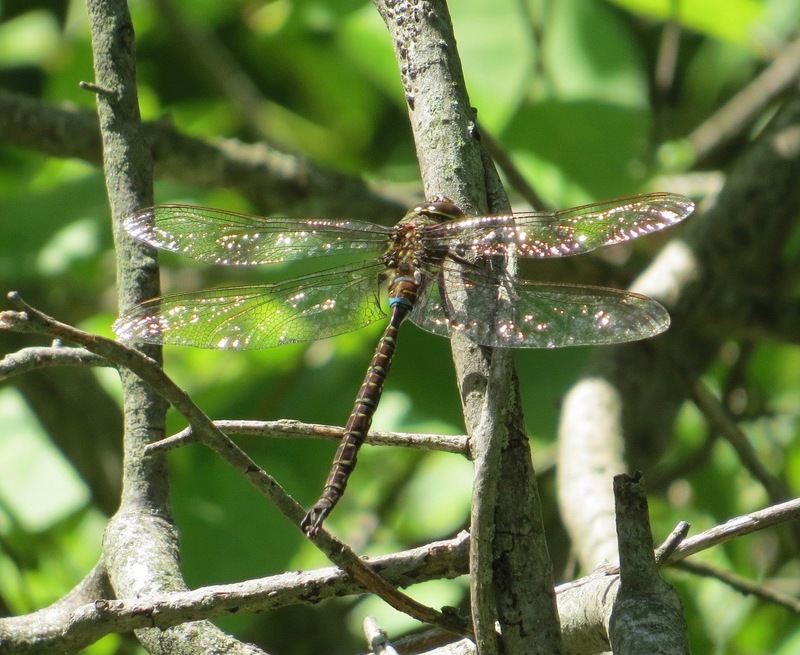 This looks like a Shadow Darner (Aeshna umbrosa), photographed recently in Westchester Co. They run about 2.9″ long. Shadow Darners can be seen well into the fall. They are one of the last Odonata flying around here. The only other time I’ve seen one was in late October. 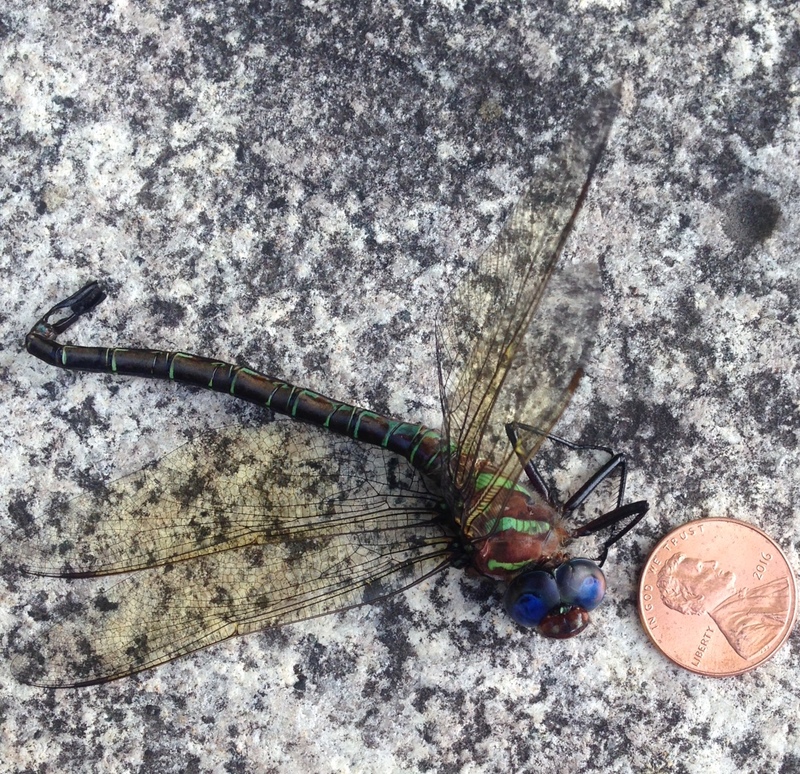 Our usual darner is the 3″-long Common Green Darner. Migratory, they can sometimes be seen in good numbers over meadows this time of year. 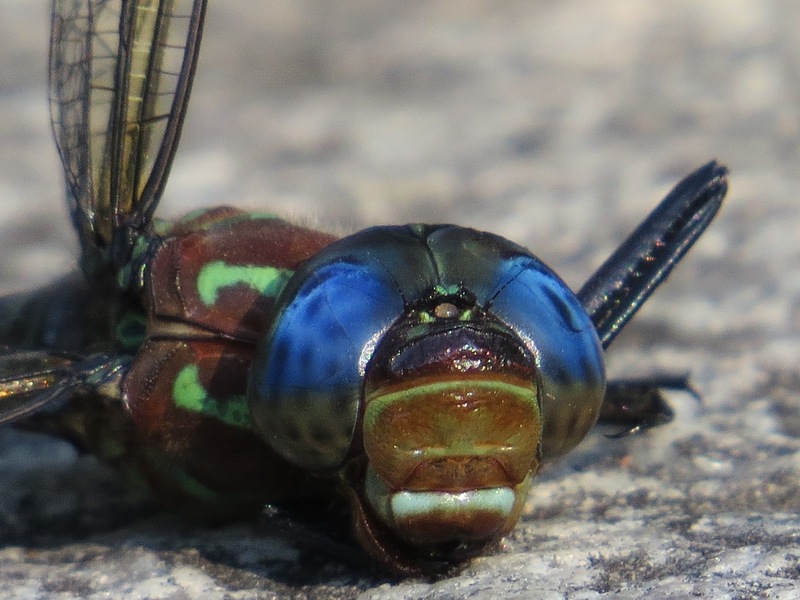 But our biggest darner is the 3.4″ Swamp Darner (Epiaeschna heros). That link is to the time I watched one lay her eggs in rotting wood in Prospect Park. I don’t run into Swamp Darners often. Recently, though, we found this dead one in the NYBG on the bridge over the Bronx River. Talk about ol’ blue eyes.